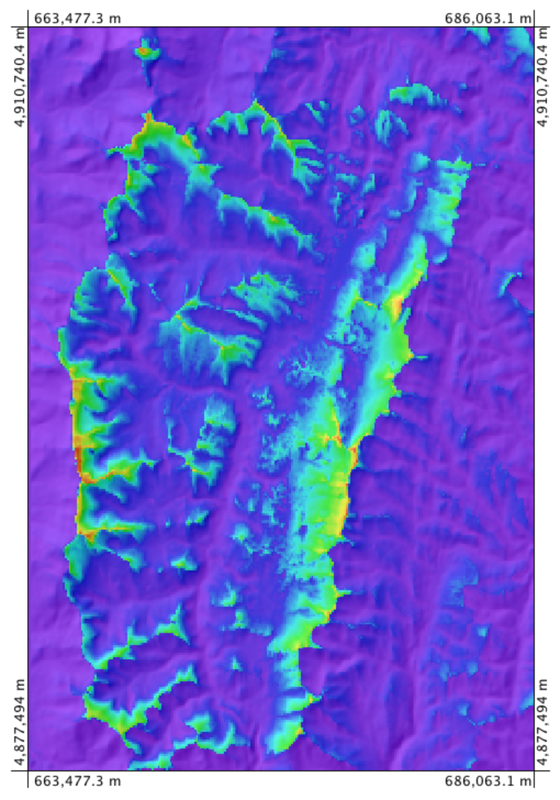 I have just finished writing a new tool for estimating viewsheds from digital elevation models (DEMs) and also for calculating a relative visibility index. The algorithms are actually based on earlier tools that I had written into the Terrain Analysis System (TAS). The visibility index estimates the size of the viewshed for each grid cell in a DEM (see figure below). Fig. 1. Example of the relative visibility index. These algorithms are actually extremely computationally intensive, as most viewsheding algorithms are, making their application to even moderate-sized DEMs quite challenging on modestly powered computers. So I thought that I would take this opportunity to explore the possibility of using Java’s concurrent features (i.e. parallel processing) to improve computation. This has become increasingly important as a means of improving the performance of computationally intensive spatial analysis algorithms, since most modern computers have multi-core processors. I was able to implement a parallel version of the visibility index tool that provided substantial speed-ups over the serial version.